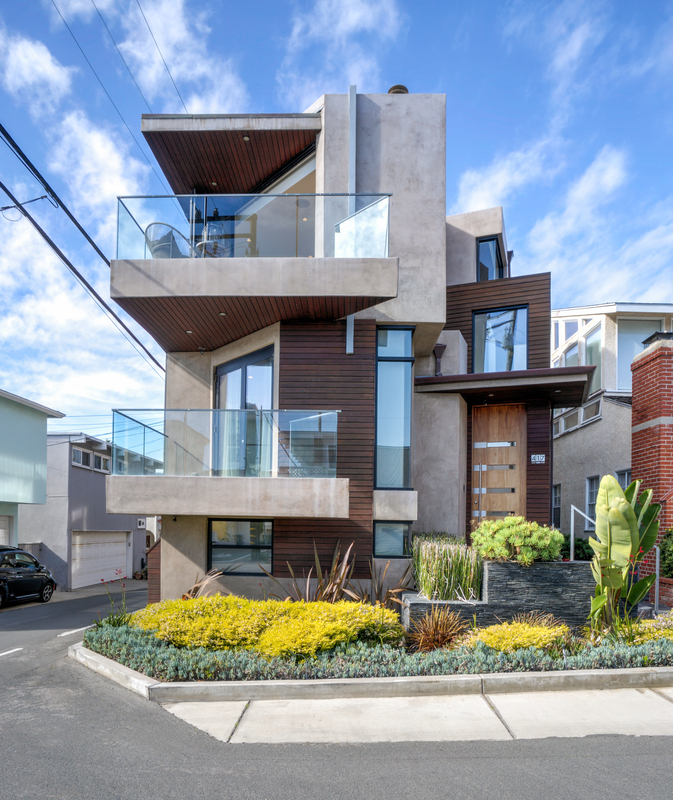 This architectural home in Manhattan Beach, California offers sophisticated beach living minutes from the beach. 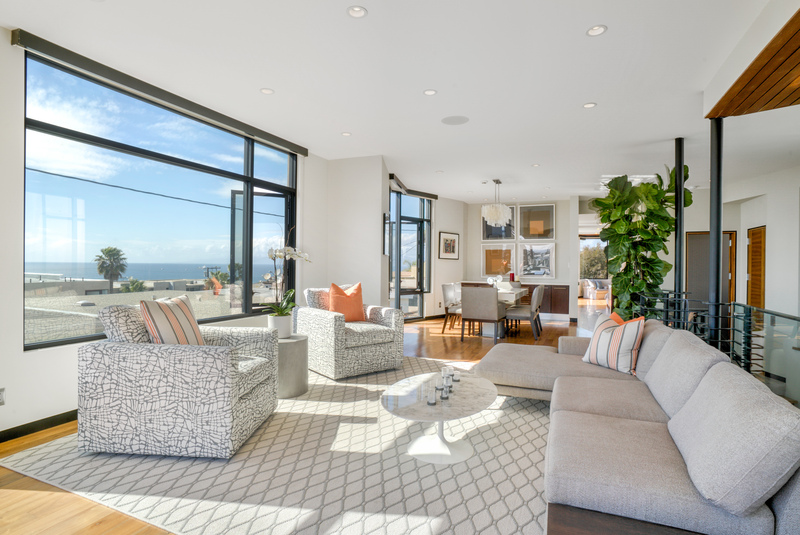 Designed by noted South Bay architect Larry Peha, this home embodies the perfect balance of indoor/outdoor living. This is achieved via a series of folding doors, opening interior spaces on the top level to the exterior- allowing ocean breezes and spectacular ocean views into the home. 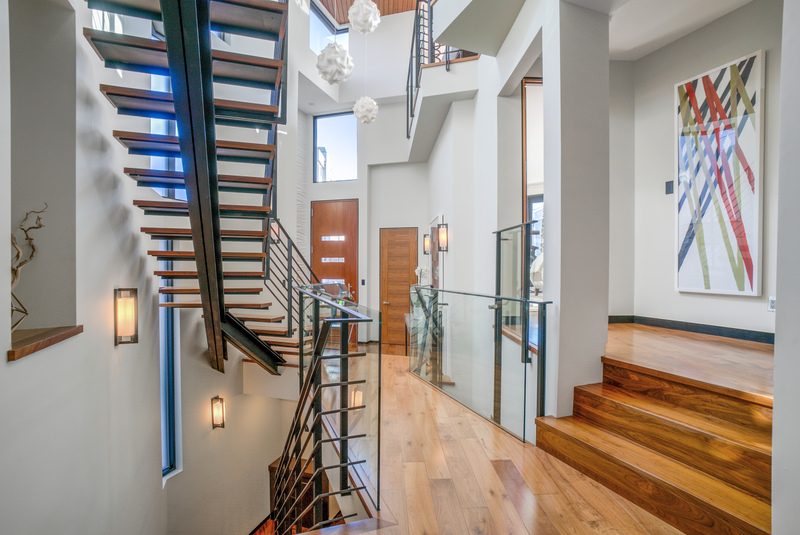 The level from the entry to the top view floor features a floating staircase. 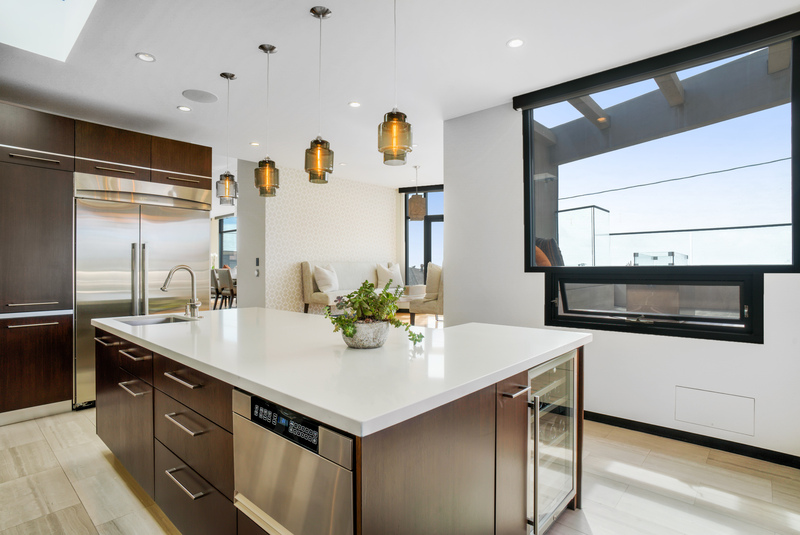 Finishes include rich maple flooring, Caesarstone countertops and La Cantina doors and a 3-stop elevator. 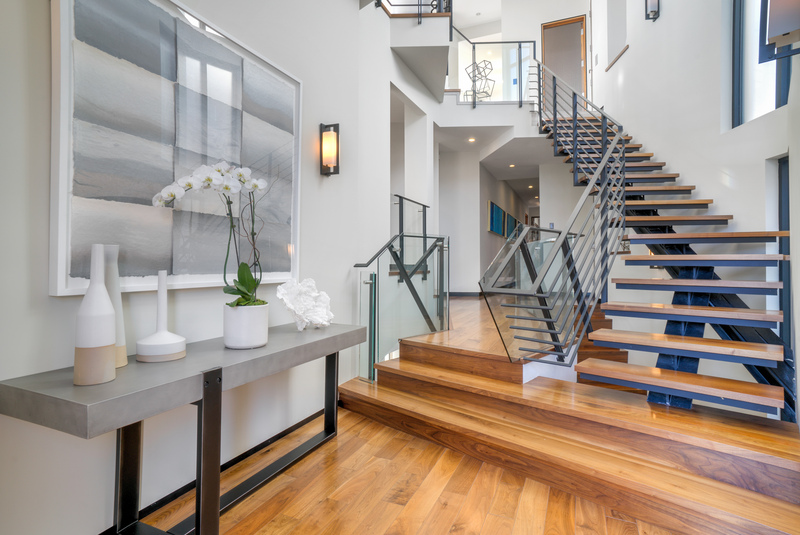 The dramatic entry welcomes guests with a floor to ceiling decorative finish resembling the waves, beginning the flow of walnut floors to each of the three levels. 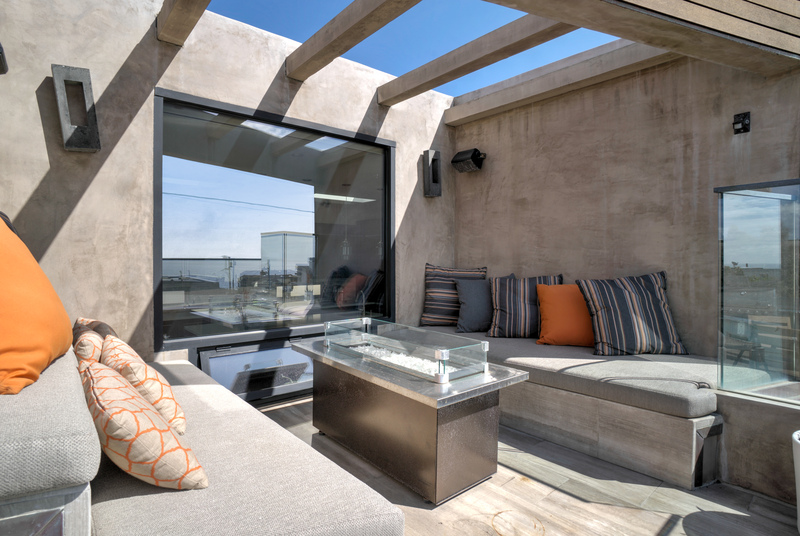 The top floor showcases breathtaking ocean views, while the La Cantina doors bring the outside in. The limestone decks lead the way to a custom outdoor seating area, perfect for lounging in the sun. Clean lines flow into the well-appointed kitchen framed by walnut cabinetry, complimented by crisp Caesarstone countertops. 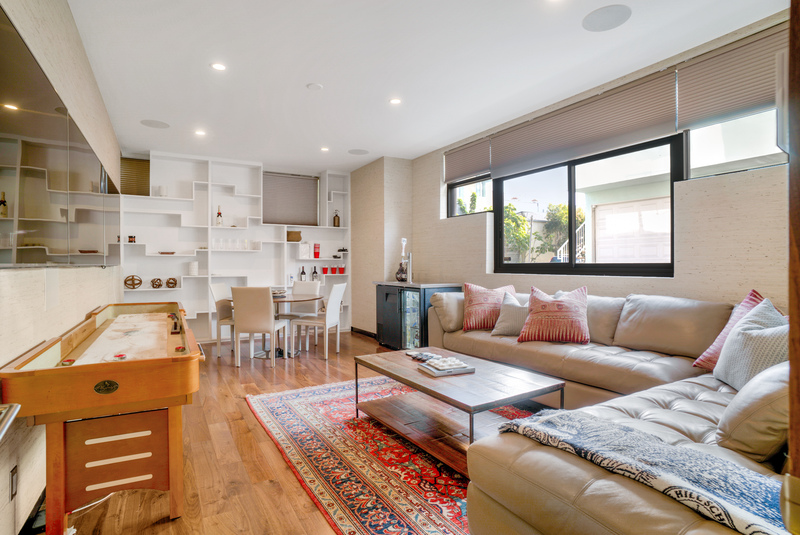 Guests will feel welcomed by the open layout where formal and casual rooms flow together effortlessly. The middle level has three en suite bathrooms including a sumptuous master creating privacy away from the entertainment. 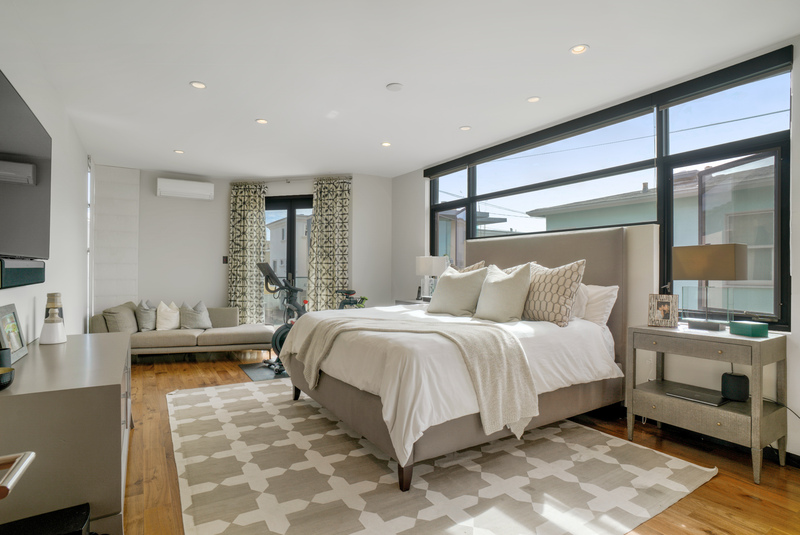 Walnut floors continue into each bedroom, while exquisite finishes sparkle throughout. 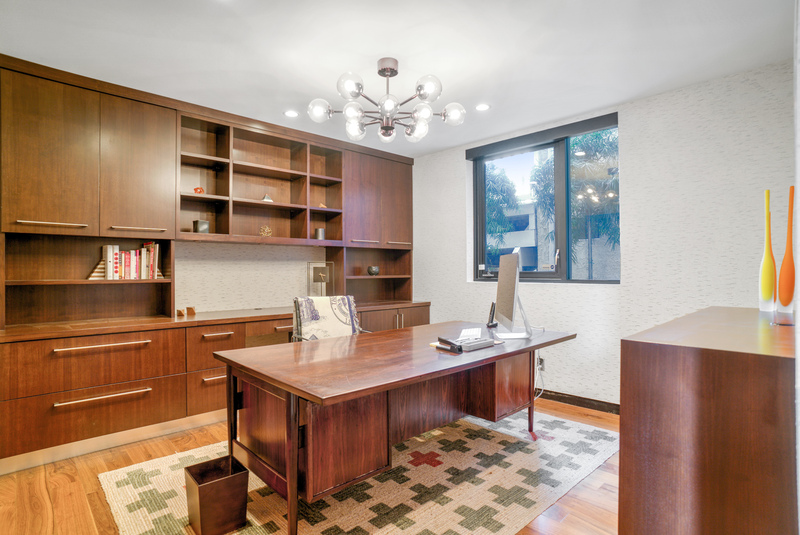 The fourth bedroom, currently used as an office, is on the lower level. Sneak down to the lower level to grab a bottle of your best from the wine room. Cozy night in? Watch a movie or enjoy the game in your media room. 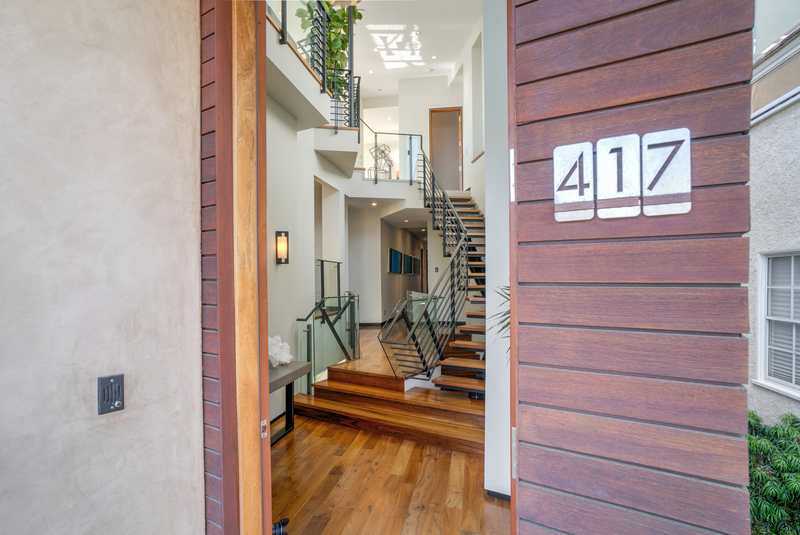 Access from the three-car garage gives the lower level ultimate privacy. 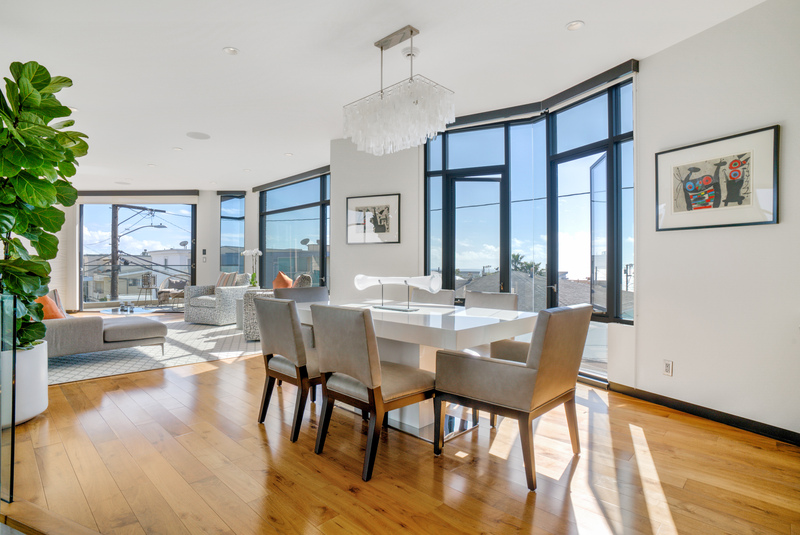 This four-bedroom home is listed for $3.99 million with Strand Hill Properties, an affiliate of Luxury Portfolio International.